​Paul Merson has suggested that Tottenham should prepare a surprise move for West Ham ‘gem’ Marko Arnautovic. The Hammers star has been heavily linked with a lucrative move to China recently, with his future at the London Stadium unclear. Former ​Arsenal star Merson has suggested that London rivals ​Tottenham should enter the fray and make a move for the Austrian forward. Merson wrote for the ​Daily Star: “​Arnautovic is a gem. Tottenham are currently facing a selection crisis in their striking ranks, with star man ​Harry Kane recently ruled out through injury until March, whilst Son Heung-min is away on international duty with South Korea. With understudy Fernando Llorente Spurs’ only clear centre forward option in the absences of Kane and Son, and with Vincent Janssen having been frozen out of the first team picture by manager Mauricio Pochettino, a swoop for Arnautovic could be an astute move. 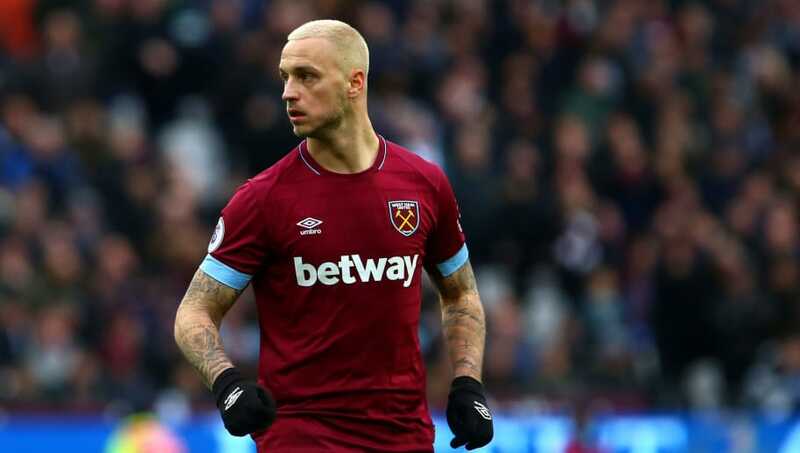 The 29-year-old has been left out of ​West Ham’s squad for the Hammers’ Premier League clash with ​Bournemouth on Saturday, with all the pointers seeming to suggest that Arnautovic is edging ever closer to an exit from east London. With Tottenham operating on a limited budget, the opportunity to sign a forward in good goal scoring form in the Premier League this season could provide a valid opportunity to reinforce their attacking ranks. Arnautovic has scored seven goals in 16 Premier League appearances for Manuel Pellegrini’s side this season, and his seemingly inevitable departure from West Ham could make him available at an affordable price for Spurs in their search for an attacking solution.